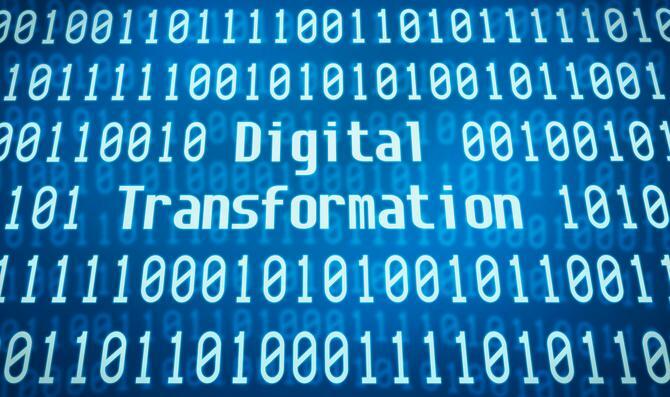 Vocus general manager of consumer and digital, Stu French, believes the only way to drive transformation home is to literally start changing things, then ask for forgiveness later. So that’s the approach he’s adopted as he strives to digitise the ASX-listed company’s ailing Dodo consumer telecoms and energy consumer business. And given the significant technology investments, talent recruitment, process changes and brand overhaul underway, nothing short of holistic disruption will do if he’s to point the organisation towards customer relevancy and growth. As French put it to CMO, when he walked into Vocus, the consumer business was in a dire state, crippled by decade-old, legacy technology. This was compounded by an absence of digital thinking or skillsets, an archaic focus on customer acquisition, and a dominant call centre focused on aggressive selling tactics over service and support. “It was like going back in time 10 or more years,” French told CMO. “There was no digital team in place, with the exception of one person performing a pseudo-role in a break/fix scenario. The customer acquisition process was lead capture forms, which our Manila outbound call centre would follow up, harassing consumers until they made a purchase. It was a crude acquisition model. The introduction of new executives and board members earlier this year brought with it degrees of digital, consumer, telco and energy expertise which French said provided the ability to finally execute a digital plan to help turnaround the $800 million consumer arm of Vocus. Of course, recognising change is needed and instituting it are two different things. French admitted he continues to face significant challenges as he strives to bring the business into the digital age. A big one is the resource-heavy call centre. But a battle he’s increasingly winning is technology. The initial hurdle was overcoming a preference for on-premise technology and adopting the cloud-based software stack he believed was needed to drive customer agility and responsiveness. It was clear to French three things should be tackled. The first was removing the brand’s “cheap and tacky feel”, something he’s working to address with Vocus GM of sales and marketing, Andrew Wynne. In August, the company launched new branding and an above-the-line campaign in partnership with Deloitte Digital. The cartoon bird has been replaced by a CGI rendered one, the ‘Internet that flies’ jingle is gone, and the TV campaign centres around the statement, ‘We are not as stupid as we look’. The second much-needed change was Web user experience. French said the way the group was describing challenging products such as the NBN hindered conversion. “Why customers should move to the new NBN products needed to be articulated very clearly. They shouldn’t have to talk through with someone in Manila, they should be able to get all information they need around products online,” French said. The Dodo site also had 1200 pages, making it sluggish and complex. Its mobile app had even been kicked out of the Android store. More widely, Dodo suffered from high churn because it lacked basics around how its 1 million customers engage with the business, French said. The third thing was technology infrastructure, which was at least 11 years old. “The ability to make front-end or content changes was taking weeks when it should take minutes,” French said. All three of these things are now moving forward. “The rebrand is out, and we have a growing content team looking at our tone of voice, FAQs, how we talk about products, NBN and challenging questions around all of the product make-up, giving that momentum,” he said. The first big one is Acquia’s cloud-based content management system (CMS). “That’s a good stake in the sand, as moving to a cloud-based solution wasn’t something we’d even have a conversation about 12 months ago,” French said. He’s also repositioning the Salesforce platform internally. “Salesforce was being used to try to wrap disparate systems into a consistent outcome. But you need to replace all those systems, then wrap that in Salesforce so you have both a consistent back and front-end experience,” French said. All up, it’s a three-year change program. Another significant technology investment is a customer data platform (CDP) and tag management solution designed to better leverage first-party data internally. To do this, he’s rolled out Tealium’s iQ tag management and Audience Stream. Top reasons were the vendor’s agnostic platform, as well as the easy-to-use nature of its offering compared to other solutions. Vocus has also adopted the Google 360 Suite, Optimizely’s platform for personalisation and optimisation, and Tableau for data visualisation. In the case of Audience Stream, French said the platform will bring together all customer data into on usable state. The team will then use Optimizely to personalise experiences in a “slick and effective way”. The first use-case going live this week sees Dodo retargeting consumers that have come to the website, viewed particular products, and disappeared over a period of a few months. French said this group represents about 90 per cent of prospects. “We’ll go to market with a one-to-one offer, point them straight back to specific products, specs and the contracts they looked at, and close down the buying visit to be so simple they can purchase product in a matter of seconds,” French said. Better media targeting forms part of this picture. The other focus is digital self-service. “We have many customers coming to the website to pay a bill but they still can’t do things like update their information and have to call our call centre,” French said. “We also want to target them with messages that are not sales-based but service-based. If I’m already a customer and coming to the site, chances are it’s for self-service. We’ll use Tealium for existing customers so when they come back to us, we talk about service and CX. One challenge French faces, however, is winning the hearts and minds – and time – of Vocus’ data team. “They’re very high calibre, but very much under the pump,” he said, noting the emphasis is on commercial data analysis rather than online performance. “The data team’s primary focus is on acquiring leads and analysing audience profiles at that level, as well as dealing with various ACCC challenges happening in the telco industry. They’re bombarded and just beginning to understand what we are trying to do with this technology.